Dragon Age: Origins | My Cake ain't no lie. My Cake ain't no lie. If you’ve poked around a bit on this blog, you may have noticed that I’m a fan of Bioware’s roleplaying games. A huge fan, in fact. 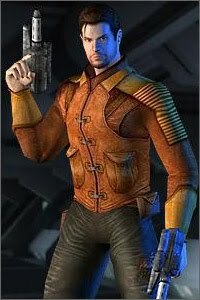 One of the things that drew me into Star Wars: Knights of the Old Republic (and my subsequent Bioware love) back in the olden days of 2003 was KOTOR’s inclusion of romance quests. While watching my ex-boyfriend play KOTOR, bored nearly to death (KOTOR is one of those games that’s so much better to play than watch, no? ), a lightbulb went off in my head. Well hello there, Mr. Onasi. …and my love for Dragon Age continues unabated! My Dragon Age crisis is over! Bioware! Don’t kill my love in (or of) Dragon Age! I haven’t yet written about Dragon Age: Origins on this blog. To be succinct, I absolutely adored it. 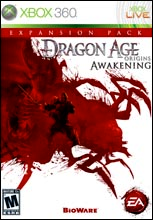 I snatched up the expansion pack, Dragon Age Origins: Awakening, this week. Resident Evil 5, you disappointed me. In the world of unfortunate names…..